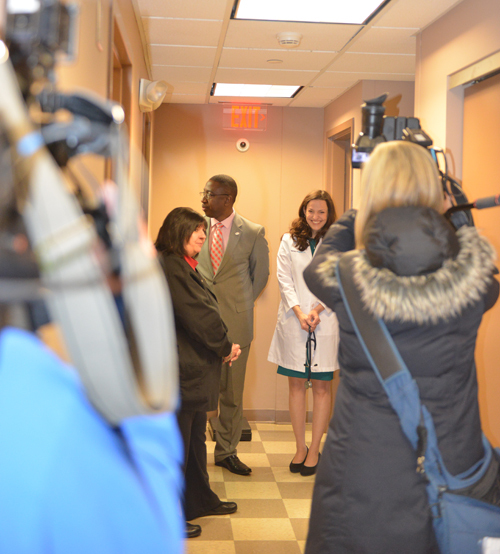 News crews shoot footage in the YSU Mercy Health Clinic in Kilcawley House. 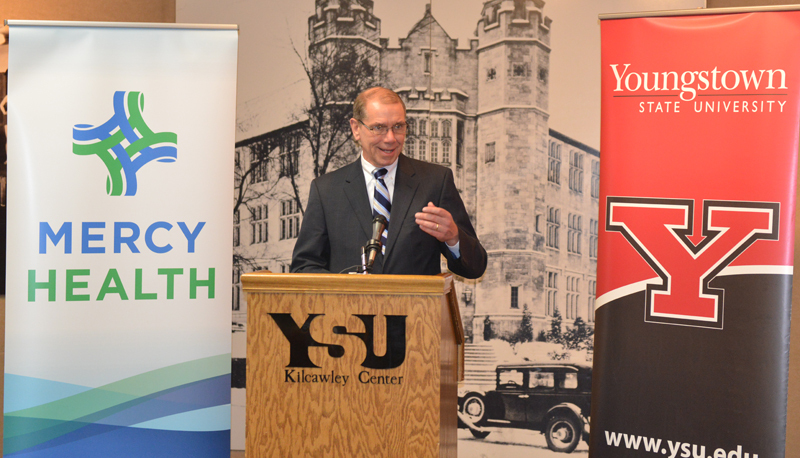 YSU and Mercy Health-Youngstown will work together to develop new academic and medical affiliations under an exclusive affinity partnership announced at a news conference earlier this month. Under the 10-year agreement, the YSU Health Center will be staffed with physicians from Mercy Health. The center offers services ranging from routine health checks and first aid to immunizations and doctor appointments. The agreement also creates opportunities for YSU and Mercy to collaborate on other projects, including the creation of the state’s first master’s degree program in Athletic Training at YSU. Don Kline, president and CEO, Mercy Health-Youngstown, speaks at the news conference on campus.